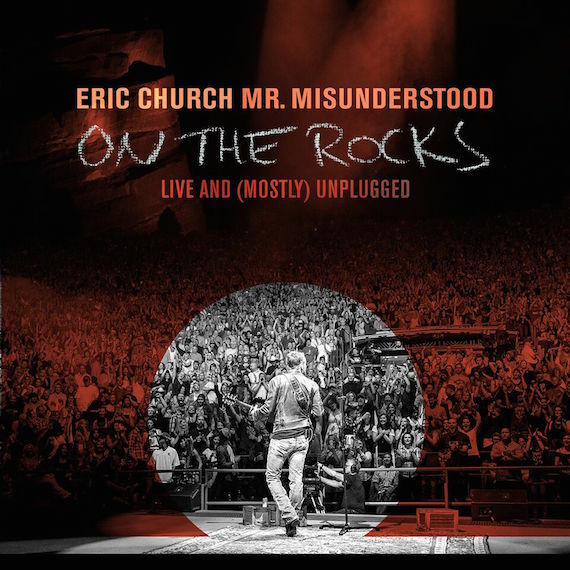 While Eric Church is in the planning stages for his 2017 Holdin’ My Own Tour, the singer-songwriter will give fans some early live music, via his upcoming album, Mr. Misunderstood On the Rocks Live & (Mostly) Unplugged. The project is set for release exclusively at Walmart on Nov. 4. The collection includes seven songs, all recorded during Church’s two-night stand at Red Rocks Amphitheater in Morrison, Colorado, earlier this year. The live album commemorates the surprise release of 2015’s Mr. Misunderstood, which released unannounced during the 49th annual CMA Awards, after Church sent 80,000 copies directly to fans.